The idea of the armed, combat-configured unmanned aerial vehicle entered the 21st Century in the same manner as the idea of military airplanes had entered the 20th Century. It was an untried and untested concept suddenly thrust into the spotlight in an unexpected global war. By 1999, few people outside the military recognized the potential of armed, unmanned flying vehicles, or Unmanned Combat Air Vehicles (UCAVs), as they were called. Today, UCAVs form a vital arm of U.S. strike forces and are controlled from halfway around the world. 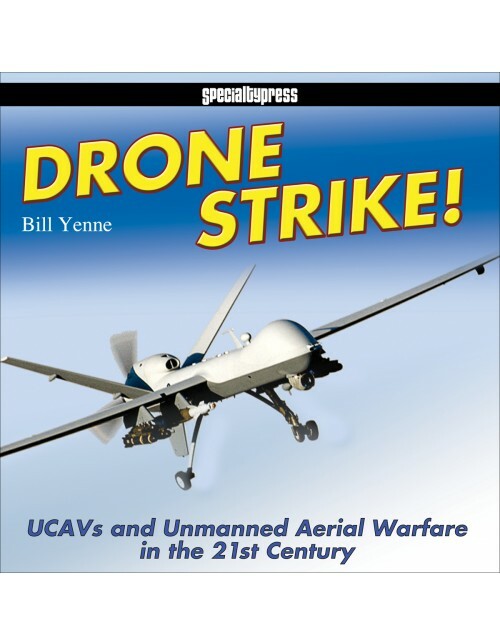 In this book, the author picks up the UCAV story where he left off in his 2010 Specialty Press book Birds of Prey: Predators, Reapers and America's Newest UAVs in Combat. Since that time, both technology and battlefield doctrine have evolved considerably and this book is a new window into that world. It provides a detailed look inside the present and future of robotic aerial warfare systems and technologies. 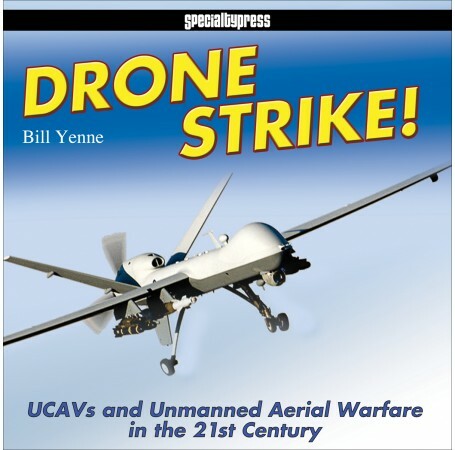 Yenne's first book on UCAVs covered the period of early development through the end of the 20th Century. Drone Strike! takes you from that time through today's latest technical wonders, covering such amazing unmanned aircraft capabilities as aerial refueling and landing aboard aircraft carriers even more accurately than manned aircraft. This book also contains recently declassified photographs of the latest U.S. Unmanned Combat Aerial Vehicles, and provides detailed coverage of international UCAVs with a great deal of hard-to-find insight into UCAV development in Israel, Turkey, Iran, and China (among others). "It is a complex subject and Yenne, with dozens of books to his name already, ably corrals it." "An impressively informed and informative study that is thoroughly 'reader friendly' in organization and presentation."